Sebastian Breit’s first novel, Wolf Hunt (The Burning Ages) absolutely took me by surprise. I can honestly say, that I have no recollection of downloading a sample of his book to my Kindle, but I found myself looking for something to read during an extended sailing vacation, and the sample was there…I burned through it in record time, and immediately downloaded the rest of the book. I knew within the first few pages that I had had stumbled upon a hidden gem. Wolf Hunt is a brilliant modern warfare techno-thriller and political drama that seamlessly transitions into a compelling alternate history novel. Breit envisions a frighteningly believable near future, plagued by a worldwide economic crisis and pushed to the boiling point by crippling social pressures. New international alliances are formed to challenge NATO, and fleets sail toward an inevitable showdown, but one of them never arrives. NATO’s joint fleet of American, British, Dutch and German ships find themselves thrust back in time, to 1940, and are presented with a chance to alter the course of history. Two Captain’s, one German and one American, have the same goal in mind, to put a stop to the Nazi war machine, but they have radically different concepts of how to impact the war. The difference spells potential disaster for the combined fleet. As a former surface fleet naval officer myself, I found Breit’s treatment of modern naval culture, operational procedures and capabilities is astoundingly accurate, but what truly propels his novel ahead of similar authors in this genre, is his capacity to envision breakthroughs in naval warfare and technology ten years into the future. Not so far that it appears foreign to the reader, but advanced enough to walk the line between science fiction and reality. Breit brings in depth character development to his story, giving the reader a detailed look at character motivations and decision making. He incorporates many complex details and descriptions, but does not overwhelm the reader like Clancy. The passages of combat depict the true brutality of naval combat, where quick decisions, sensor superiority, armament numbers and chance combine to determine the difference between victory and defeat…often granting a mere Pyrrhic victory to the winner. Beyond the action packed, fast paced thriller, Breit tackles many of the social issues confronting society today, starkly juxtaposing them onto a 1940 backdrop, with clarity and purpose. 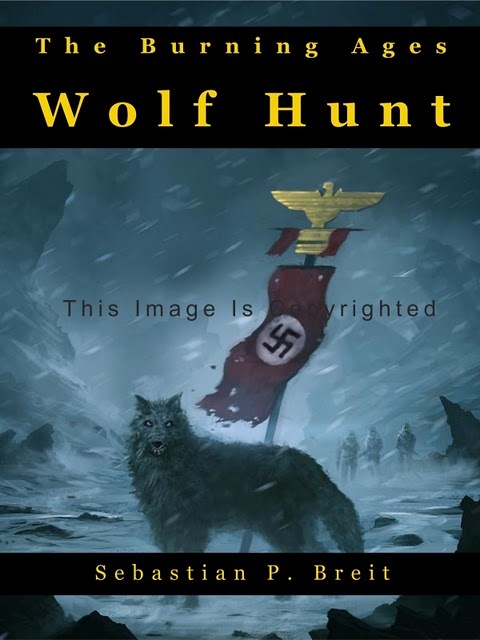 Wolf Hunt is a first rate novel, by a sensational up and coming author who joins the ranks of indie authors rivaling todays brand name authors.